The light of the God-Emperor stands between humanity and destruction. 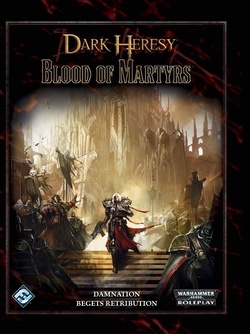 Against myriad enemies, the Ecclesiarchy defends the faith with bolt, chain, and flame. 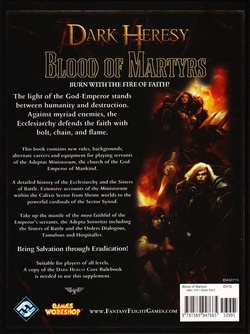 Blood of Martyrs contains new rules, backgrounds, alternate careers and equipment for playing servants of the Adeptus Ministorum, the church of the God-Emperor of Mankind. 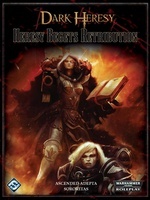 Included within are a detailed history of the Ecclesiarchy and the Sisters of Battle, as well as extensive accounts of the Ministorum within the Calixis Sector from Shrine worlds to the powerful cardinals of the Sector Synod. Take up the mantle of the most faithful of the Emperorâs servants, the Adepta Sororitas including the Sisters of Battle and the Orders Dialogous, Famulous and Hospitaller!